Despite what it may seem, I like to travel as light as possible. As a matter of fact, I try to travel as much as possible with only a carry one, especially if traveling with Romy. The less I bring, the happier we both are and the easier it is. I only pack the essentials, and if its a summer destination, you can actually pack a LOT of swimsuits and summer dresses in only one carry one! And when it comes to the limited “Liquid Situation”, I bring as many samples and buy the rest at the airport! So by now, I have become an expert in carry on! I recently came across French Luggage company, Lipault! 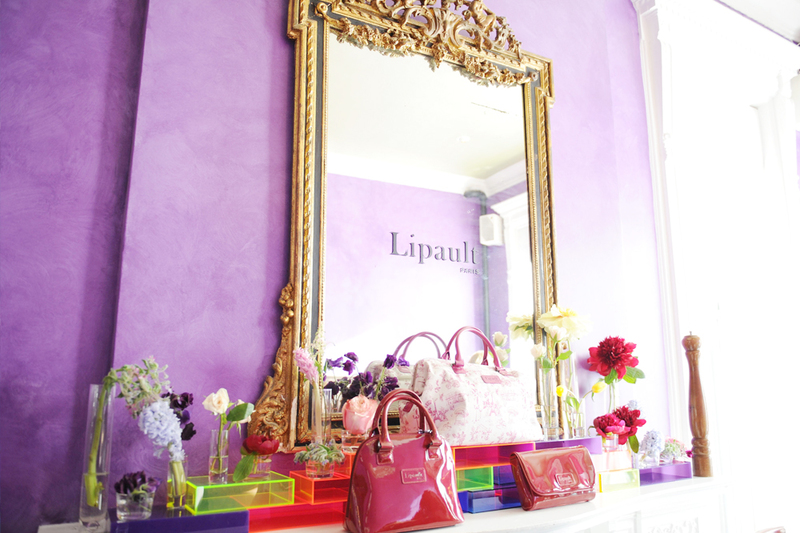 Launched by French designer François Lipovetsky in 2005, Lipault has become one of France’s leading luggage brands. Not only their bags are ULTRA LIGHT, but the choice of colors goes beyond the usual classics, making it more fun for Romy and I to get match carry ons. For this summer, I really like the Lipault Original Plume 18″ Spinner in Antique Pink , The Lipault Plume 20″ Spinner in Blue Vinyle, or the 0% Pliable 18″ that folds completely flat for super easy storage!!! CABBAGES AND KINGS SPRING&SUMMER COLLECTION SNEAK PEEK!